Everybody’s favorite premium tonkatsu is now in Makati! 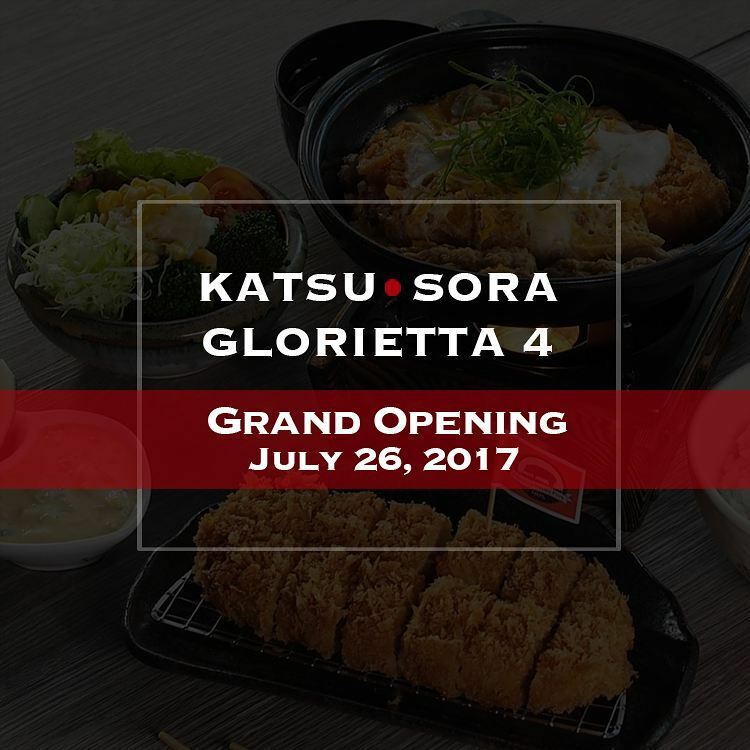 Katsu Sora, the Japanese restaurant that offers authentic tonkatsu and a diverse selection of high-quality Japanese dishes, is set to open its 9th branch at the ground floor of Glorietta 4 on July 26, 2017, satisfying cravings and stirring more excitement among food enthusiasts all over the metro. 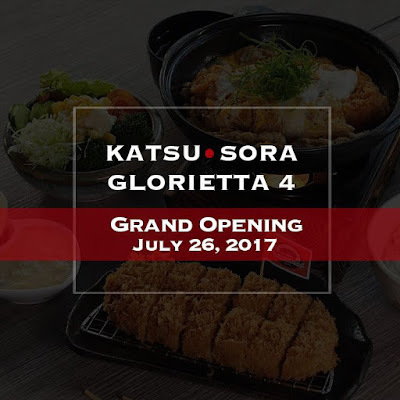 Check out Katsu Sora Glorietta Grand Opening Promo! 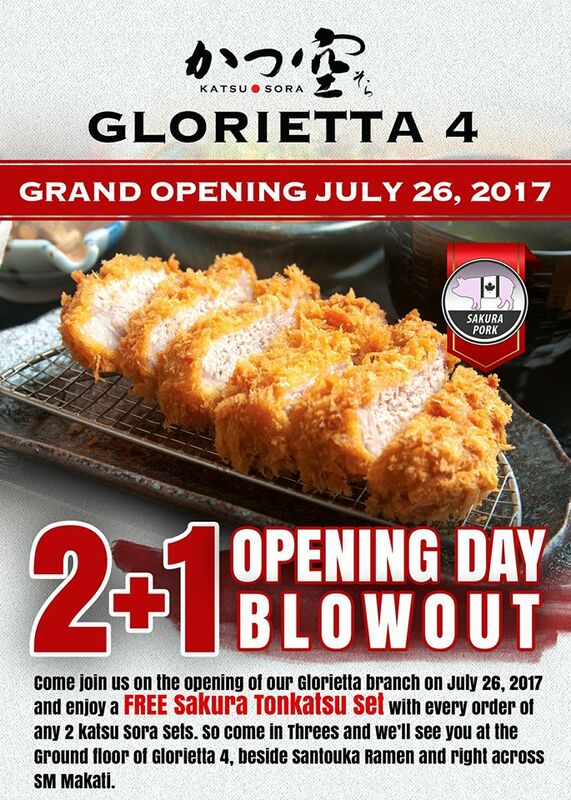 Visit the newest branch at the grand opening and enjoy a FREE Sakura Tonkatsu set with every order of any 2 (two) Katsu Sora sets. Gather your friends and family and indulge in any of Katsu Sora’s premium pork – Iberico, Shimofuri, Kurobuta, and Sakura. Each of which is guaranteed of the highest quality: tender, juicy and an outstanding flavor. Experience authentic tonkatsu and a host of other Japanese meals at Katsu Sora. Katsu Sora Glorietta branch will be located at the Ground Floor beside Santouka and Mercury, and right across SM Makati. For more info, please visit katsusora.com.